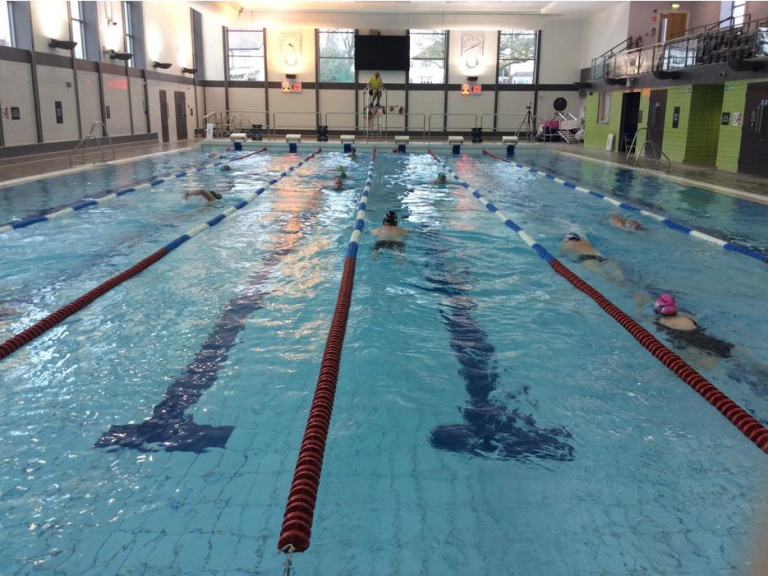 Cannock Leisure Centre has 3 swimming pools which are used for swimming lessons, swimming clubs, open swim and aqua aerobics. 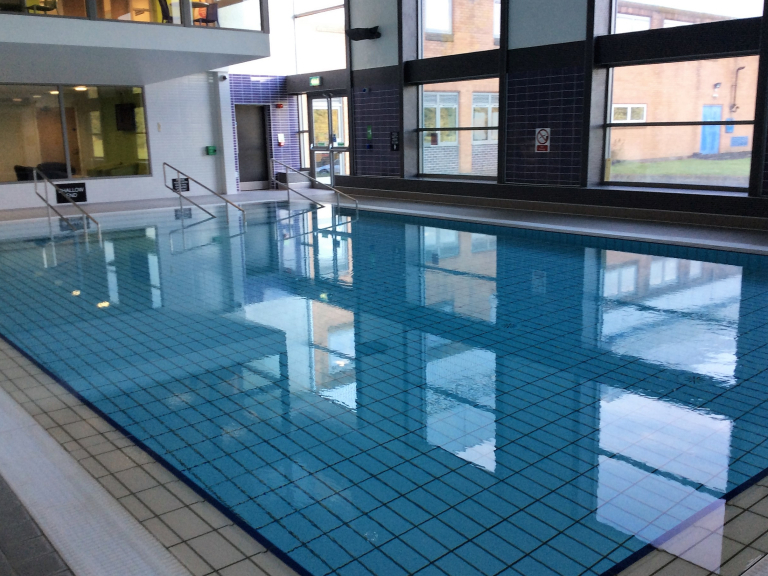 Refurbished in 2012 the three swimming pools at Cannock Leisure Centre are a fantastic facility for all abilities and ages. The main pool is a 25 metre pool with 6 lanes. A second pool in the main area features a movable floor that enables the pool to be adjusted to different depths to suit the activity. 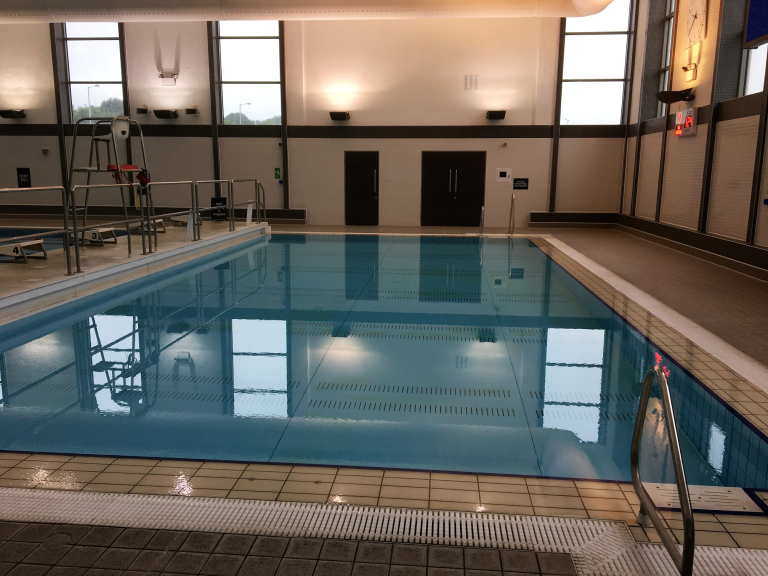 The third pool is a smaller, shallower pool which is aimed at helping those learning to swim to develop their skills and confidence. The pools are used for a variety of activities with a busy timetable. In addition to the swimming pools there is also a sauna pool side for use by adult members. Swimming lessons for all ages are available at Cannock Leisure Centre, taught by highly skilled, qualified swimming teachers. Sessions are available from babies from 4 months old, toddlers, children and adults. Lessons are delivered using the ASA Learn to Swim framework. 121 lessons are designed for all ages from 1yr-100yrs and all abilities from complete beginner to those who want to improve their technique or train for their first triathlon. 121 lessons are designed around your needs and ability helping you to improve and attain you end goal. Lessons can be as often as you require, you are not limited on the amount of lessons you have and you are not tied in to a contract. The small or main pool can be hired for birthday parties. 'Splash Attack' parties are also available with a large inflatable that provides a wet and slippy obstacle challenge in the main pool. Party packages can also include use of a separate room for party games and cake cutting etc. Contact Chase Leisure Centre to discuss any swimming enquiries on Cannock (01543) 504065.